How to stay thin in France: The gourmet Dukan recipe edition! Ok, I admit- I have been quiet these last few weeks, but there is a good reason- I have been on the dreaded D word. Yes, a DIET- but not just any diet… the Dukan Diet. If you’re not already familiar, it’s the diet developed by a French Doctor by the name of Pierre Dukan which until early this year was well known to the French but only available in the French language. Now that the book, and his online program have been published in English, the diet’s popularity has exploded. All four of Dukan’s print titles are currently in Amazon’s France’s top 100 bestsellers, and the Dukan regime even has it’s own product line in French supermarkets. In Paris, I’m surprised that café’s haven’t already started offering an entire Dukan menu since it’s becoming hard walk into a café without noticing someone ordering a plain steak or piece of grilled fish- no sauce, no oil, no accompaniments. Sounds boring? Only if you let it be. Bottom line is, this diet is becoming super popular because it actually works. Firstly, you will never feel deprived or hungry since portions are not limited on a key range of protein-based foods, and if you can get creative in the kitchen, it’s possible to eat deliciously well on Dukan. So, in tribute to the Dukan diet, this post is dedicated to sharing the best six recipes I developed or adapted from the program, all of them based on Pure Proteins since these are by far the most difficult to adapt. All the recipes are one-bowl wonders (except the tiramisu and scallops), easy to prepare, and will keep in the fridge for up to a week. And for the non Dukanese among you, a Baked New York Lemon Cheesecake with 1% fat, next to no carbs and zero sugar that tastes just as good as the real thing can’t really do any harm! … Note that the title of this post is not “How the French stay thin”- (that I am still trying to work out), because by no means am I suggesting this diet is a key reason for the visibly svelte and seemingly effortlessly slim French population. Oh and by the way- the belief that French woman do not diet, I can assure you, is also a complete myth! All the dessert recipes require a non-caloric sugar substitute. Depending on what country you’re in, there are numerous options, some better than others. Ideally, if you can get it, Stevia is the way to go since it’s a natural plant extract and you can consume it with the confidence that it won’t contribute to cancer or memory loss somewhere down the line (which is a potential and debatable risk factor with aspartame, and saccharin based sweeteners). If you are baking, the trick will be to find a product that keeps its molecular structure and thus sweetening properties above 100 degrees celsius. In Australia there is a great product called Natvia – anything Erythritol and/or stevia based is ideal. Widely available in France, and a few other European countries, this dairy product is indispensable for Dukan recipes. The 0% version is what I use in all of the recipes. If you can’t source this product, you can try 0% natural or Greek yoghurt, however the or Fromage Blanc or Fromage Frais has the benefit of being much thicker, heavier and creamier thus making a great substitute for mascarpone or sour cream. Bio/organic brands or dairy products are always preferable if you can find them and of course don’t mind paying a bit extra. Cottage Cheese. A traditional English cheese which has a creamy, curd-like texture. If you can’t find it, any textured low fat curd cheese like farm cheese is a good substitute for the rice pudding recipe. Ricotta. In France, low fat ricotta is non-existent. If you can source this, it’s a much better option to replace the whipped cottage cheese in the New York baked cheesecake recipe. 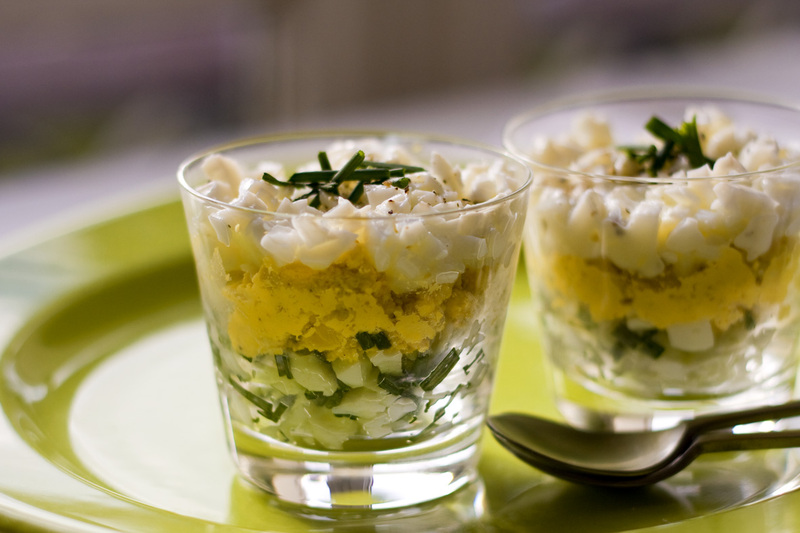 Curry, Mustard and chives egg verrines- delicious! Cooking time: 10 mins. Total preparation time: 20 mins. Bring a saucepan of salted water to the boil. Hard boil whole eggs (in shell) for ten minutes and then remove from boiling water. Place eggs into a bowl of iced water and leave for 10 minutes. Drain water then gently peel away and discard the egg shells. Delicately slice open the 3 eggs and separate the yolks, placing the yolks in a small separate bowl. Finely chop the egg whites into small, even squares using an egg slicer if you have one. Separate the chopped egg whites into two small bowls. In one bowl, add to the egg whites the chopped chives. To the other whites mix in the seeded mustard, fromage blanc, lemon juice, sea salt to taste. Gently crush the egg yolks with a fork and mix in the curry powder and Dijon mustard. 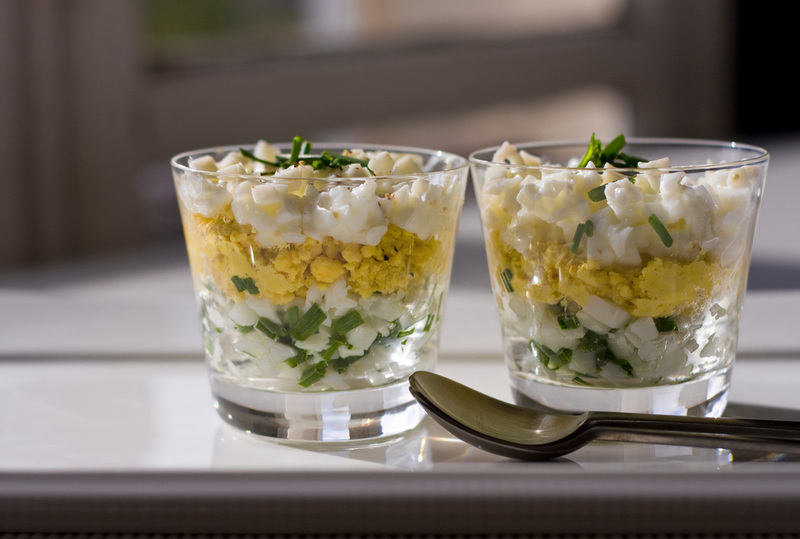 Arrange evenly in a verrine starting with the chive mix, then the egg yolk, then the egg white with mustard. Top with cracked pepper and chives to serve. Preparation time: 15 mins. Cooking Time: approx 45 mins. This dish is really easy to throw together and will keep for up to a week in the fridge. No bowls, minimal mess. 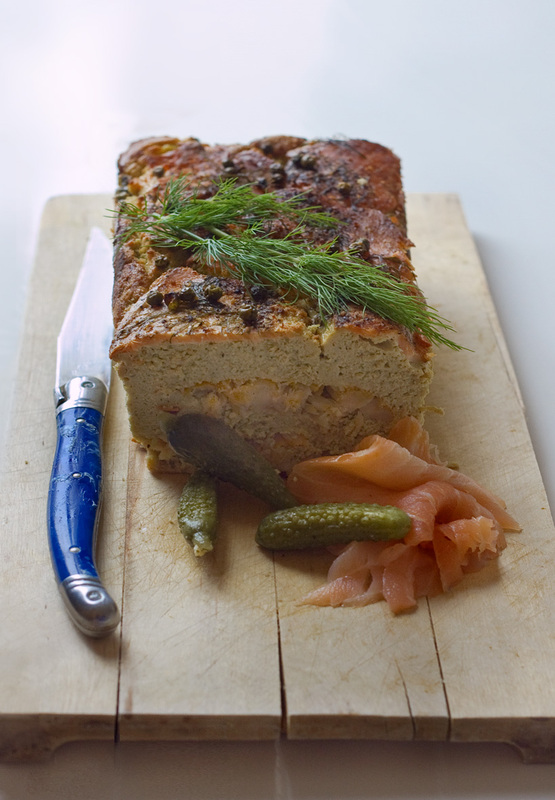 All you need is blender/food processor and a bread loaf tin or pyrex baking dish. Preheat oven to 180 C. Remove skin from cod fillet and slice fillet width ways into 1 cm slices. Put aside. Put off-cuts of fish into food processor. Into processor bowl, add eggs, tofu, lemon, 2 tbsp dill, 1 tsp green peppers and cornflour. Pulse all ingredients until just combined. Pour mixture to 3 cm depth in tin and then arrange a layer of smoked cod slices. Add another 3 cm layer of mixture and layer on top with remaining smoked cod slices. Add remaining mixture to tin until 3 cm from rim. Arrange smoked cod slices, remaining fresh dill and green peppers on top. Bake in preheated fan-forced oven for approx 45 mins or until browned and cooked through. 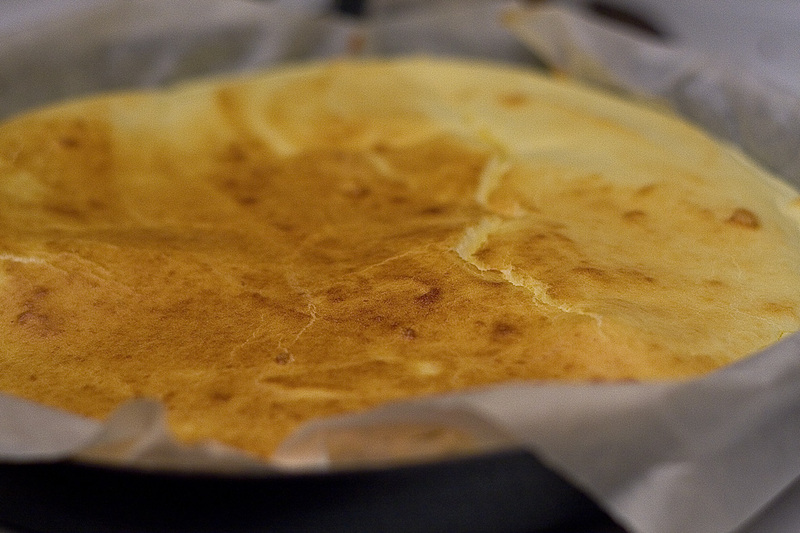 Cover with foil if necessary to protect top from over-browning. 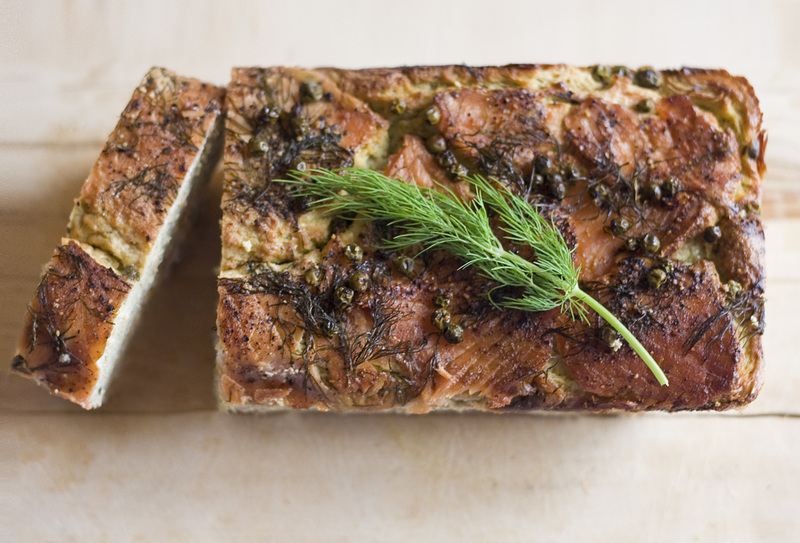 Serve with lemon wedges, cornichons and Dijon mustard. Super simple. Super delicious. You need a good quality non-stick frying pan for this to work as there is no oil used. Pour soy sauce over fresh scallops and leave to marinate refrigerated for 30 mins. In a small ramekin, mix fromage blanc, wasabi and a squeeze of lemon juice. Finely dice red capsicum to prepare garnish. 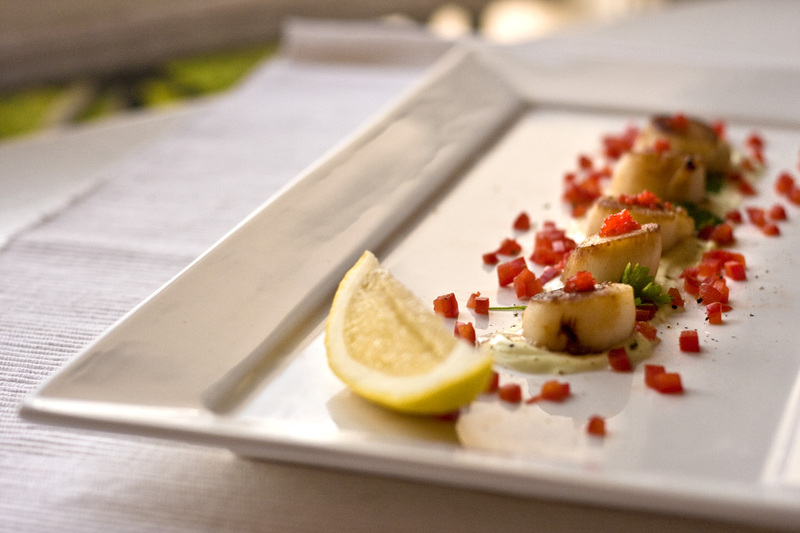 On a heated non stick frying pan or bbq plate, place scallops and soy sauce and sear until browned on each side. 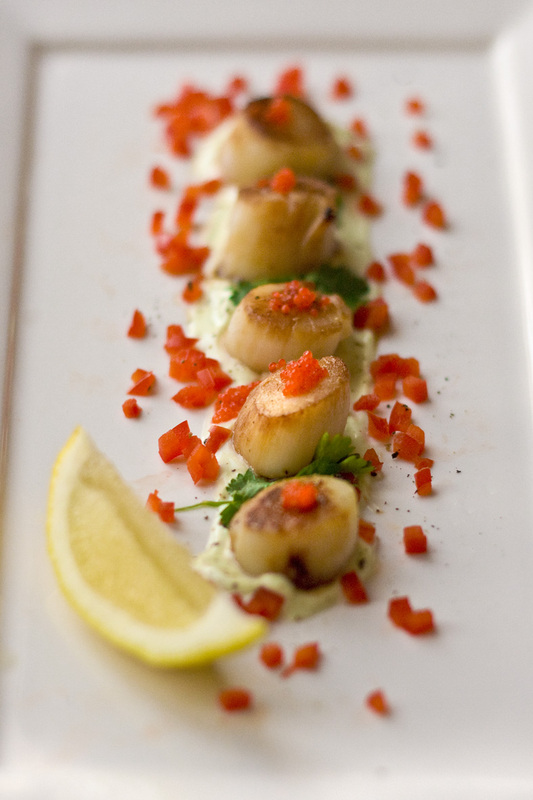 Spread wasabi cream on platter and arrange scallops in a row with coriander between pieces. Top with fish eggs, sea salt and black pepper and garnish plate with lemon wedges and red pepper to serve. 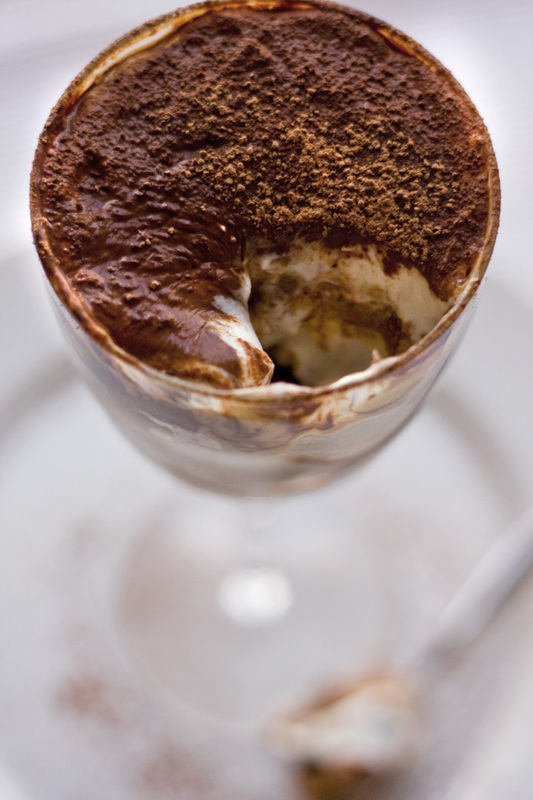 The Dukan Tiramisu- didn't last long! This recipe is made in two parts. The sponge cake base is an original Dukan recipe which is then layered with espresso coffee, low fat cocoa powder and sweetened fromage blanc. Combine egg yolks, splenda, baking powder, fromage blanc and vanilla in a mixing bowl. In a separate bowl beat the egg whites until stiff and gradually beat in the cornflour. Fold the egg white mix into the other mixing bowl gently to combine. Line a flat, lipped tray (round or rectangular) with baking paper, keeping an overhand on the edges. Pour the mix into the tray and spread out evenly. Bake at 180 degrees until cooked through and golden brown on top. Allow cake to cool in tray. Brew espresso coffee and sweeten with stevia. Mix in 1 tbsp low fat cocoa powder whilst coffee is hot (optional). Pour a layer of coffee in dish of choice. 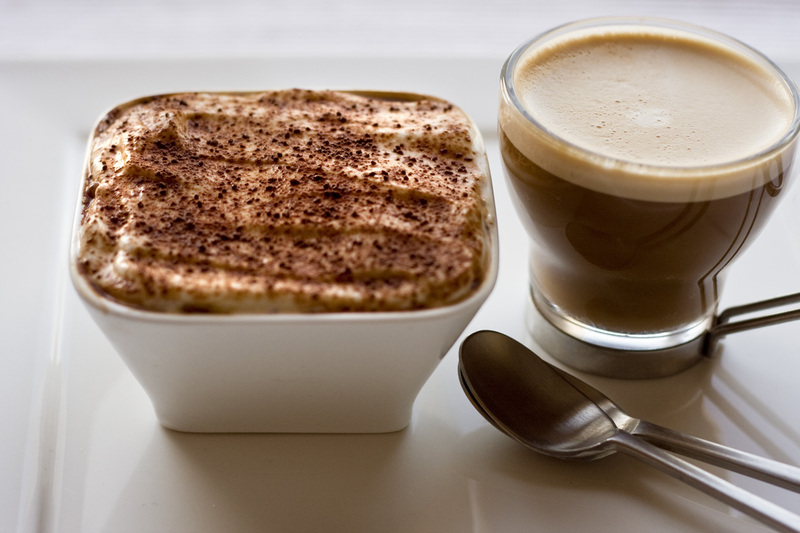 Arrange a layer of cake on top of the coffee. 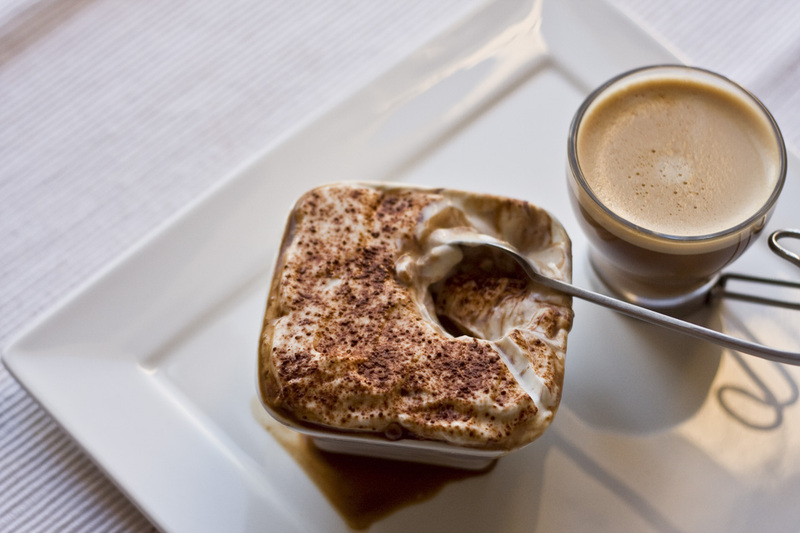 Coat cake with coffee, sprinkle with cocoa powder and then add a layer of fromage blanc- sweetened with stevia to taste. Arrange remaining layers in the same order until serving dish is full, with the top layer being fromage blanc. Dust top with a thick layer of cocoa powder. Place and leave to sit in refrigerator for at least 3 hours before serving. The dukan cake is not as moist as a normal cake so the result is better when the coffee has soaked through. This recipe was a happy accident. It’s a slight variation on the Dukan “Corsican Cheesecake” recipe and the great thing is that when you bake with cottage cheese, the curd of the cheese hardens and forms slightly in the oven giving the same texture as soft rice in a rice pudding. To serve it as rice pudding just put this in a bowl and top with sweetened fromage frais or custard. Otherwise serve sliced like a cheesecake. Preheat the oven to 160 C. Beat the eggs with a hand held whisk. Add the cottage cheese, Splenda and vanilla. Carefully stir to combine. Transfer to a flan style baking tin and bake for approx 45 minutes. Keep a close eye on the cake while it is in the oven, making sure it does not over cook or brown too quickly- cover top with foil if necessary. Remove from oven when cooked and allow to cool. 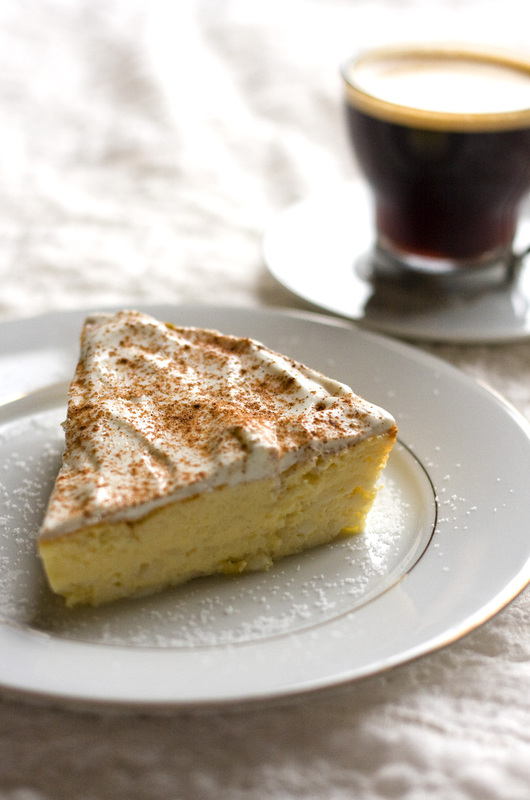 Serve with custard, yoghurt or sweetened fromage blanc topped with cinnamon and nutmeg. 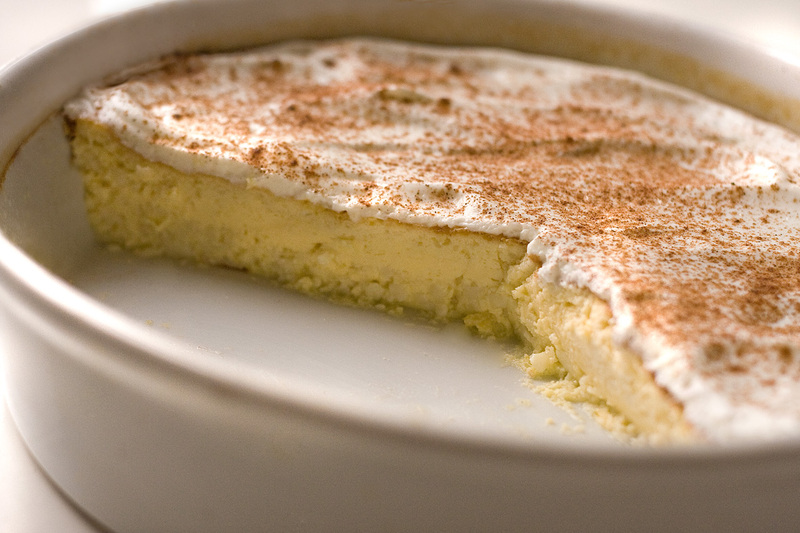 This is a further variation on the above which really turns out like a Classic Baked New York Lemon Cheesecake- this one literally takes the cake as my favorite. Preheat oven to 160 C. Combine all ingredients except egg whites in a large mixing bowl and beat with an electric hand blender until smooth, thick and silky in appearance. If using cottage cheese, beat mixture until the texture smooths out. In a separate bowl, beat egg whites until stiff, then beat in cornflour. Slowly fold in egg white mixture to large bowl until combined. Transfer mixture to a ceramic baking dish (as pictured or similar) ans bake for approximately 40 mins or until risen and golden brown. Allow to cool completely in fridge before serving.